I read a particularly interesting article this week. It focused on technology and the changing face of delivery. Paragraph after paragraph it waxed lyrical about how consumers were finally starting to embrace new forms of delivery, such as drones and autonomous vehicles, and argued that with robotic drivers no longer limited to our TV screens, soon enough our science fiction dreams would become a reality. The last mile is currently causing significant disruption when it comes to parcel delivery. The cost of global parcel delivery, excluding pick-up, line-haul and sorting, amounts to €70bn (US$86bn). However, the market itself is not just huge, it is also dynamic, with growth rates in recent years ranging between 7% and 10% in mature markets in Europe and the USA, and almost 300% in developing markets such as India. This means that, in mature markets, volumes could double over the next 10 years, reaching roughly 25 billion parcels per year in some European and North American territories. The largest driver of this growth is unsurprisingly e-commerce, which has shifted market share from the B2B to the B2C segment. B2C once made up 40% of the market, but has since exceeded 50% in a number of countries in Europe. In addition, the last mile’s hefty share in total parcel delivery cost, often reaching or exceeding 50%, makes it a key consideration for those seeking to gain a competitive advantage. At the same time, it is precisely at the last mile that many retailers are struggling, as they often shoulder significant labor cost disadvantages and therefore, all else being equal, competitive disadvantages. As I have already mentioned, with the rise of e-commerce, consumer preferences have moved to being the center of attention in what was previously a very business-orientated parcel delivery market. Large e-commerce players as well as various startups now view last-mile services as a key differentiator from their competitors. In fact, the variety of delivery options and the perceived quality of the delivery service are major decision criteria for online customers and hence directly impact e-commerce players’ success in the marketplace. As a result, everyone in the logistics supply chain is working hard to provide customers with the best possible experience, especially when it comes to improving delivery times. I predict that over the next 10 years, autonomous ground vehicles (AGVs) and parcel lockers will replace current forms of regular parcel delivery and this is primarily due to cost advantages. I read some interesting research recently which suggested that organizations could see up to 40% reduction in cost over today’s conventional last-mile delivery – especially in rural areas, but also in urban areas, with the introduction of automated delivery. To emphasize the magnitude involved, a 40% saving in delivery costs could translate into a 15% to 20% point increase in profit margin, or given that price is often the key decision criterion in this market segment, a 15% to 20% cut in prices. 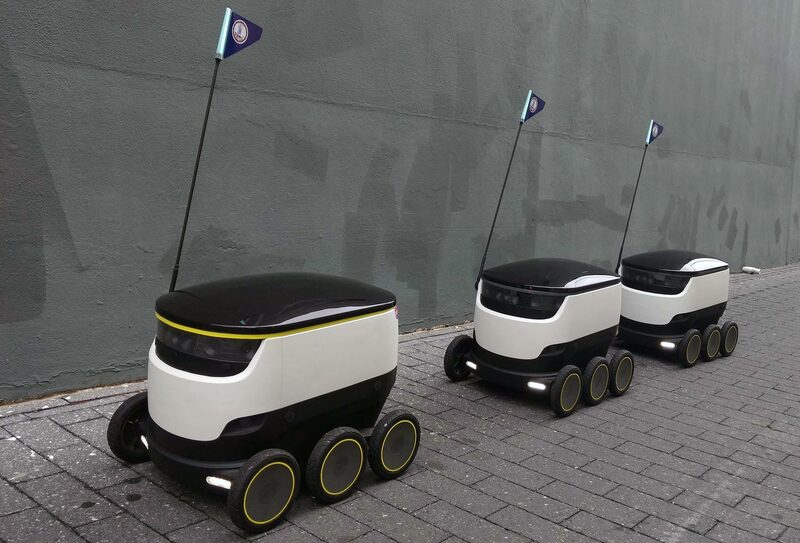 With wages likely to continue to rise, the advantage of autonomous delivery forms will increase further. When it comes to widespread adoption of automated delivery, one major challenge always exists and that’s with regard to public opinion on, and acceptance of, new technologies. Given that many drivers already accept a considerable degree of driver support systems in today’s vehicles, ranging from speed and distance control as well as automated steering in the form of lane assist, it is hard to imagine that the public will object outright to autonomous vehicles. Furthermore, many large automobile and technology companies are already investing heavily in this technology and they will make a huge effort to convince the public of the benefits of their products and their superior safety in particular. Moreover, you don’t have to cast your mind back too far (April 2017 to be precise) when it was announced that self-driving robots, described as ‘Starship’ buggies, from the makers of Skype, were trundling along the streets of London in the UK delivering Hermes parcels as part of a trial to test the technology. Not only could these nifty robots carry out a single delivery in less than 30 minutes, the drone, which moved at 4mph, could cross the road and avoid bumping into obstacles. Drones are admittedly a different matter altogether as they fly above people’s heads and will therefore be more disconcerting to the public and constitute a bigger change from the norm than autonomous vehicles. But even when discussing drones as far back as December 2016, Amazon had already claimed a successful Prime Air drone delivery. The trial was carried out in Cambridge and a bag of popcorn and TV streaming stick were delivered directly to the garden of a customer who lived nearby. I think it is safe to say that love it or loathe it, automated parcel delivery is soon to change the face of the last mile and what once was perceived as a science fiction dream will soon become reality. 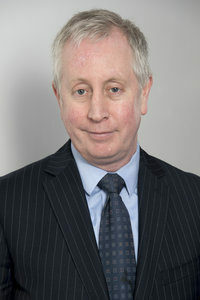 With a career spanning over 20 years in the general distribution and postal industry, Robertson was instrumental in the adoption and implementation of NetDespatch in the Packets and Parcels division at TNT Post in his three years as group development director. Matthew has also held senior positions at Arla Foods and a leading role in market development for B2C packets within Royal Mail. Matthew is recognized as an industry leader with a strong commercial presence and provides a key link between NetDespatch clients and the business.